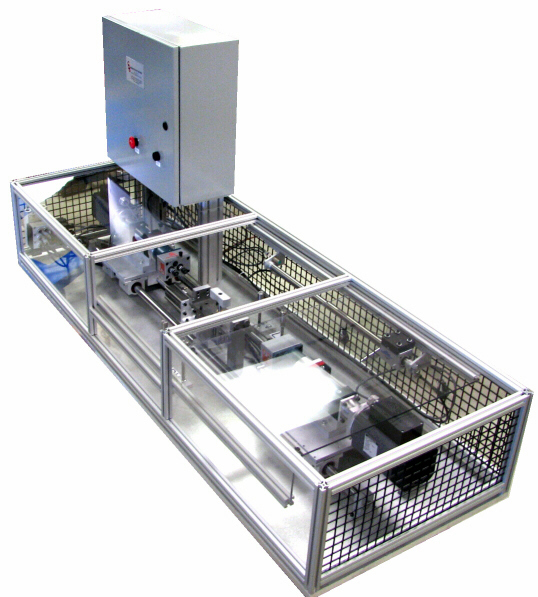 CDS Manufacturing designed and built this semiautomatic drilling fixture. The operator loads a plastic molded part into the custom tooled part nest, closes the protective safety doors, and starts the machine cycle by pressing a button on the control panel. The drill tooling cycles, drilling the specified holes, and then retracts. The operator opens the safety enclosure and removes the completed part.